I was trying to record some web test via Internet explorer 8 and the problem was that the plugin is not loaded. the problem was that "Microsoft Web Test Recorder Helper" was disable. 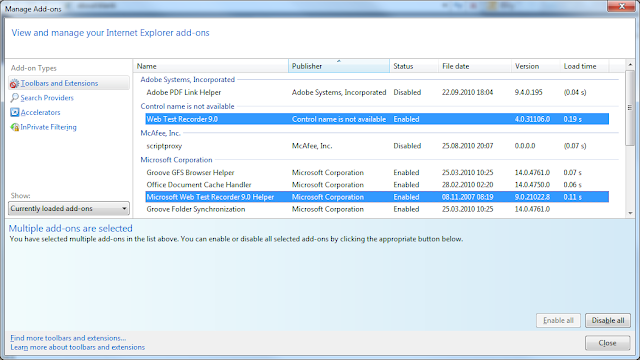 so to fix this , go to TOOLS -> Manage Add-ons and Enable the "Microsoft Web Test Recorder Helper" and try to restart IE. Diagnosing and fixing Web Test recorder bar issues.